Have you ever heard of Swimzip swimwear if not you're missing out. 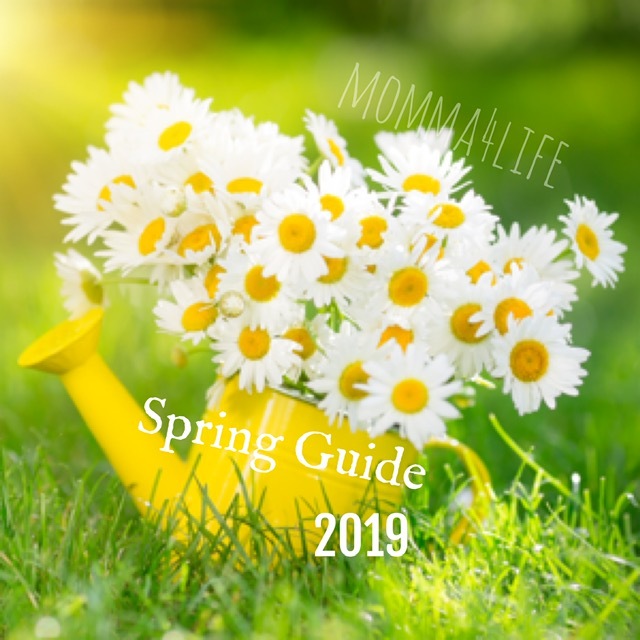 For the summer they have a UPF plus 50 fabric & UV Sun protection swimwear blocking out 98% of UVA and UVB sun rays for men, women, girls, boys, toddler, and baby. They have hats, sunglasses, towels, and accessories as well. For the summer I wanted to get my daughter a swimsuit that was not only going to be cute but also protect her from the suns harmful rays. That's where swimzip comes into place. 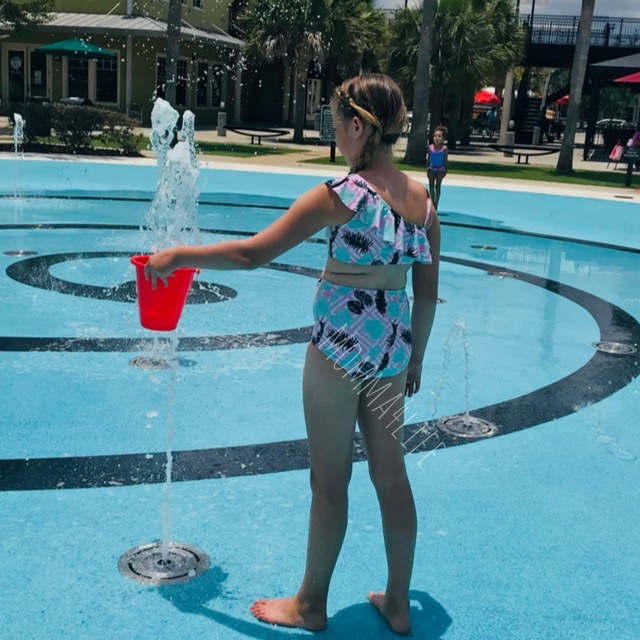 It was hard to just choose one suit but I absolutely wanted my daughter to have her choice of what she wanted to wear so I'm going to tell you about the suit we were able to review and tell you what we think about it. 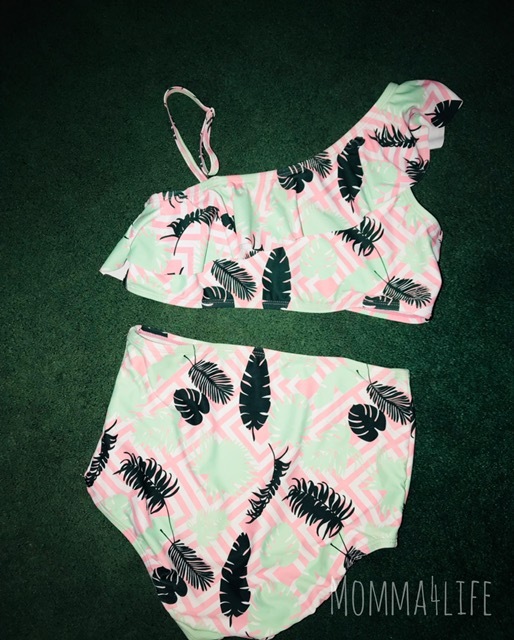 The one my daughter chose was the little girl one shoulder plus high waisted bottoms swimsuit it is a two piece and comes in three different designs the Peachy Stripes, Mint and Pink Feather design, and a butterfly design. She chose them mint and pink feather design and she absolutely loves it. When we got it I was kind of afraid it wasn't going to fit because it looked kind of big. 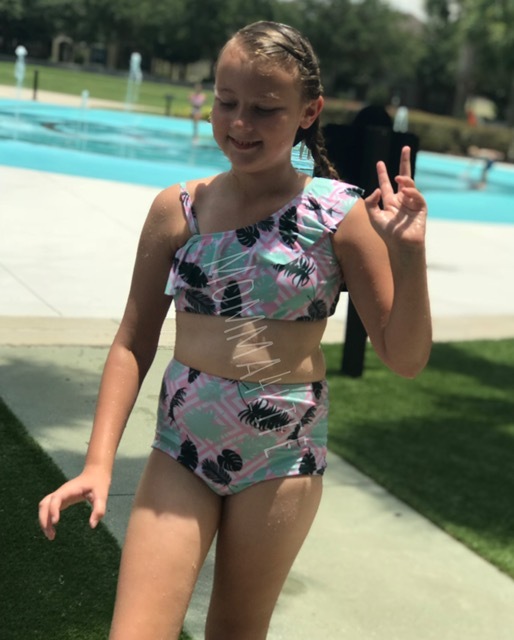 Make sure you check the sizes of these suits because some of them don't come in bigger sizes however this one does my daughter is nine years old but she wears a 12 to 14 size and this suit fit her perfectly I am so glad we went and chose the bigger size. She is very pleased with the outcome of this you and I am as well we love how it is high waisted so it covers up just enough. She does have a little bit of baby fat still on her belly but this suit covers it very well and she doesn't feel self-conscious about it. If you have a child specifically a girl in this situation I would highly recommend the high wasted suits. The material is really nice and soft it doesn't rub against anything at all and irritates her. 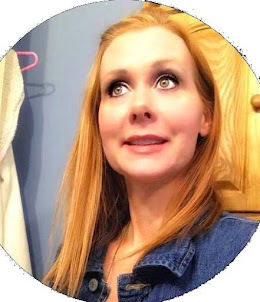 When we washed this we made sure we let it air dry not that it needs to but I find with letting your bathing suit air dry they don't get them little lent pills on the suit. 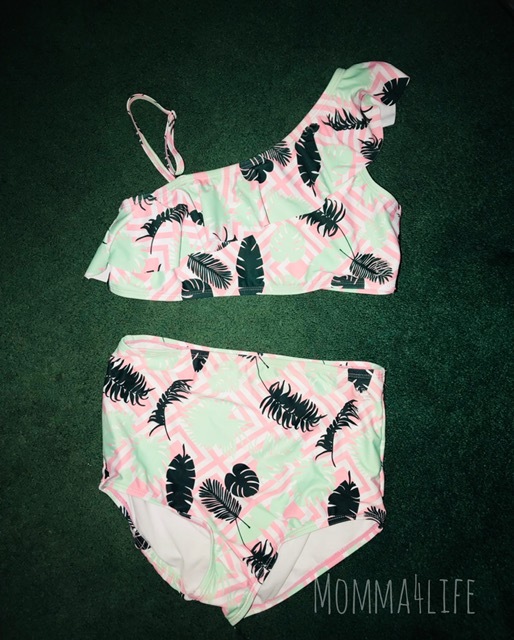 We also love that this suit has SPF 50 fabric which is also called UPF this means it has a new movie sun protection material that blocks 98% of UVA and UVB sun rays.